Alright, so in the past week I have figured out what stay at home moms do besides, well, everything. When they aren't doing everything they are blogging. Seriously, I thought I had an idea, but I had NO IDEA. I met a blogger named the redhead riter. She helped me revamp my blog. In the process I am meeting other mommy bloggers. I am now convinced it is safe to say that 98% of mothers are also writers/bloggers. Are they great writers? That's for you to judge. What's so astonishing is the sheer number of them. I mean, I guess you could say the population of bloggers has many vast categories at this point in time. And you could probably say that each category is teeming with writers and blogs now that blogging is so mainstream. I think it's great that blogging has given rise to so many voices. I just find it so interesting for some reason. I blog on a completely selfish level. I want to write. I want to write even if no one ever reads or cares. I do it for myself (and my friends and family) and if others read and get enjoyment out of it then I am pleasantly surprised. 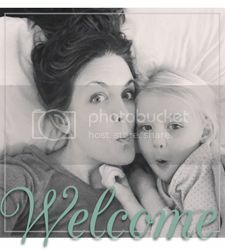 The world of the mommy blogger has become so fascinating to me mostly because each blog is just one in a sea of millions. What a great resource too right? If you are a mom with your own personal situation and you are seeking advice I guarantee you there is a blog out there written by someone in your EXACT position. With the exception of maybe octomom, no mommy can truly say no one has been in her shoes or knows how she feels. Guess what? Someone does. Just Google it.